This is a warm-up one-evening tourney. This is NOT the main event. It’s a for-fun flip frenzy. And last year, people suggested they didn’t want a free warm-up tourney, and would rather have a little money on it. I would NEVER do such a payout structure for a Main tourney. Just because its a side tournament doesnt mean the money spent on it is less valuable. For these type of fun, more novice events, I normally choose to go the route of charity events. You get the attendance, you buy a few prizes and rest goes to charity. These type of payouts structures for random cash prizing, I don’t think anyone benefits from. I get the intent but if you give it all to charity you still get the participation and the money goes to a great cause. Hope it goes well thou!!! Unless we were paying out in Pinballz tokens. I would expect anyone who regularly played nearly every season in Austin’s Tuesday Jam to relate to this type of more casual-friendly payout structure with more equity between division payouts. Did you also complain about Jam that it paid out more to B, C, and D division winners than A Div 2nd-4th? Haha i am used to it! And by now, everyone in the jam is used to hearing me object to the payout structure! Im all for wacky formats and payouts at the local level, but when its gonna be a good chunk of change put up by some of the best in the country… im not as for it. What is the maximum players allowed in the main tournament? 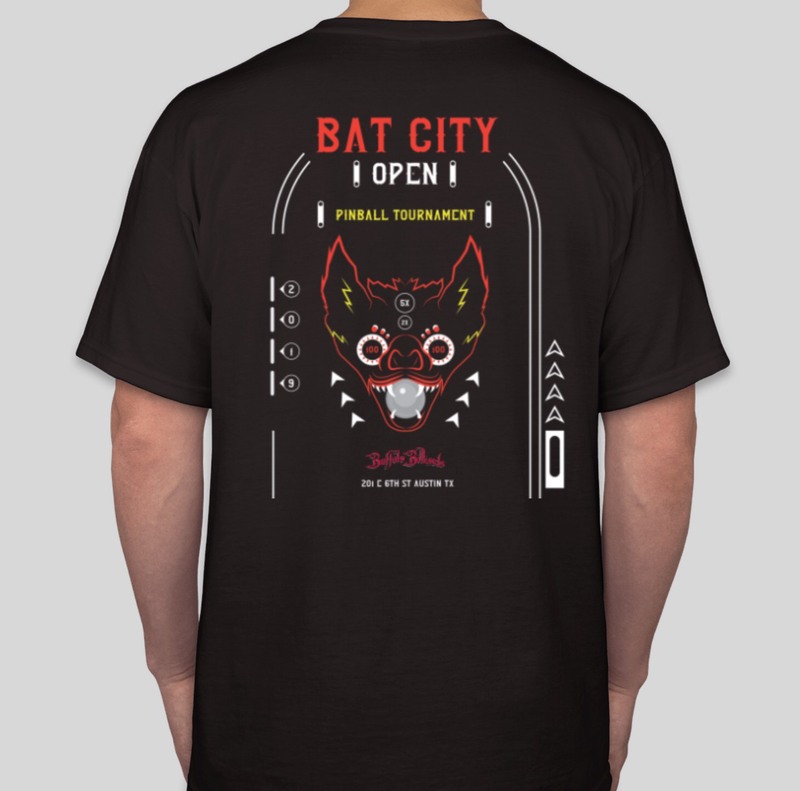 This year we are also taking pre-orders for Bat City Open T-Shirts (The new art for these shirts is pretty sick) Huge shout out to Kelli R for the artwork! I’ll be dropping a sneak peak of the art sometime later this week. I actually did provide feedback their as well. Couple of big differences their though so I don’t think that is a good comparison. Tuesday League - $$$ is not given to Random players. Each player must place 1,2,3 or 4th in their respective bracket in order to win the payout. Their seed for bracket was determined by their play through qualifying. I was still never a huge fan that 1st place in A netted you the same as first place D but at least players are earning their payout vs just dumb luck on a draw. I just always felt that payouts for entry should go to skilled play vs random drawings. This still rewards good play but also increases the number of people being paid out. Then have a couple of random prizes from the 11th through 60th seeds as consolation gifts. If you decide to change your mind and go with something like the above I’ll donate a couple pingulp caddies as prizes to help build that consolation pool of prizes. Normally Jessie adds to the pot but I think he’s done enough for this event so I’d like to help take some of that burden away. Hopefully this is felt/seen as constructive feedback as I’m not trying to complain. Just trying to help make this the best it can be. I think the competitive players start to get turned off by “random” things and prefer to focus on their skilled play but I also understand the need to drive the desires of the people their just having fun and with a less competitive mindset. T-Shirt art is here! I personally love the new art direction our designer went with. We are taking pre orders on the registration form when it goes live this Saturday. You will pay for them at the event. 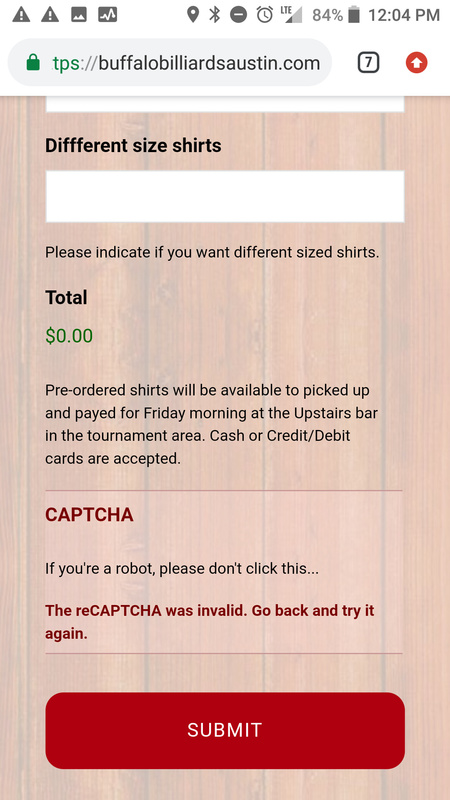 They will be behind the bar and we can take cash or credit cards for them. Registration begins in less than 2 hours! I’m unable to register- it’s telling me recaptcha is invalid but there’s nothing to click. It worked for me and a # of other people that registered. Can you refresh and try again? Or try from a different device? Something on your end is not allowing the script to run. Normally it looks like this. There are only around a dozen spots left of the 80. Lock in your spot quickly for this Stern Pro Circuit event. Also, @BuffaloATX wanted me to let everyone know that the registration email confirmation system flaked out on him. So not to fear that you haven’t received a registration confirmation. The email confirmations were tested last week, and worked fine. We’ll get it resolved ASAP. For those that haven’t registered yet, the post-registration page will have a message at the bottom of the page that confirms that you’re registered. Thanks for everyone’s patience. Yes, as soon as I get the notifications fixed and sent out I will post the Player list. Confirmation email issue has been resolved. If you still have not received one let me know. Updated player list will be available soon.